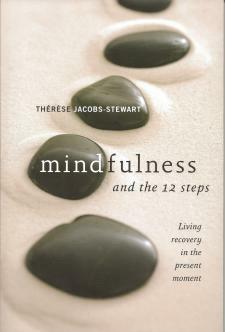 FOR THOSE OF US IN RECOVERY, Mindfulness and the 12 Steps offers a fresh approach to developing our own spiritual path through the Buddhist practice of mindfulness, or bringing one's awareness to focus on the present moment. We can revisit each of the AA Twelve Steps, exploring the interplay of ideas between mindfulness and Twelve Step traditions--from the idea of living "one day at a time" to the emphasis on prayer and meditation--and learn to incorporate mindfulness into our path toward lifelong sobriety. Through reflections, questions for inquiry, and stories from Buddhist teachers and others who practice mindfulness in recovery, Mindfulness and the 12 Steps will help us awaken new thinking and insights into what it means to live fully--body, mind, and spirit--in the here and now. A counselor and woman in recovery, THERESE JACOBS-STEWART is the founder of Mind Roads Meditation Center, which integrates contemplative practices from both East and West and is home of the Saint Paul, Minnesota, chapter of Twelve Steps and Mindfulness meetings. She is also the author of Paths Are Made by Walking: Practical Steps for Attaining Serenity.